This has certainly been a week of both joyous and tragic events. This morning we received the wonderful news that Father Chris Coyne of St. Margaret Mary Parish in Westwood has been named auxiliary bishop of the Archdiocese of Indianapolis. It is with great joy that I received the news that our Holy Father, Pope Benedict XVI has named Father Christopher J. Coyne as auxiliary bishop of the Archdiocese of Indianapolis, Indiana. 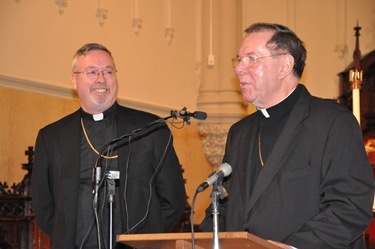 Bishop-elect Coyne has served as a Priest of the Archdiocese of Boston for almost twenty-five years, and during this time he has continued to demonstrate tremendous skill as a pastor and leader within the Archdiocese. Archbishop Daniel M. Buechlein is indeed blessed to receive one of Boston’s finest priests. 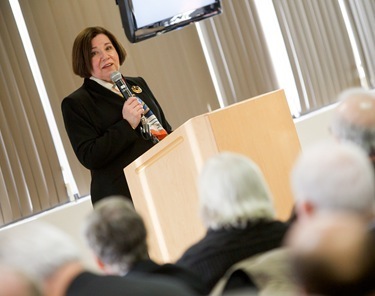 Bishop-elect Coyne has served the needs of the Archdiocese of Boston in many ways: as professor of Sacred Liturgy and Homiletics, as well as director of the Pre-Theology Program at St. John’s Seminary, Brighton; as Archdiocesan Director for the Office of Worship as well as Cabinet Secretary for Communications and Archdiocesan Spokesman for the Archdiocese of Boston. 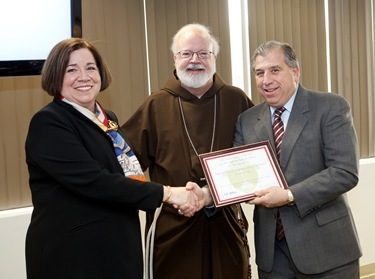 And most recently as Pastor of St. Margaret Mary Parish in Westwood, Bishop-elect Coyne has continued to demonstrate the skills and abilities that led our Holy Father to recognize in him a good candidate for the office of Bishop. 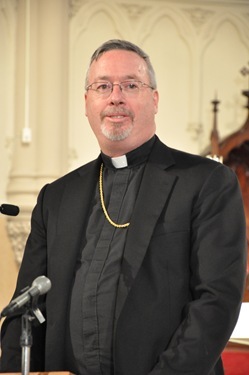 I join my prayers to those of Archbishop Buechlein and the faithful of the Archdiocese of Indianapolis, and I ask the faithful of the Archdiocese of Boston to join us in prayer for Bishop-elect Coyne. Tempering our joy, however, is the fact that this week we mourn the passing of David Thorp who went home to the Lord this past weekend. We learned of his tragic death while we were in Ireland as part of the ongoing Apostolic Visitation. In fact, at the time of his death his wife, Barbara, was with me. Barbara is in charge of our outreach ministry to abuse victims, and she serves with me on my visitation team in Dublin. David was a man who had a great love for his faith, his family, and the ministry he dedicated his life to: evangelization. 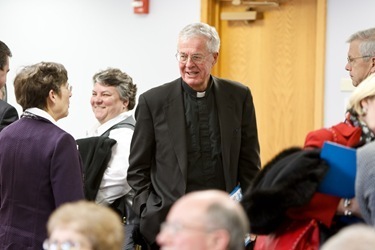 Fulfilling that mission, he served the archdiocese and the Church in so many ways over the years. 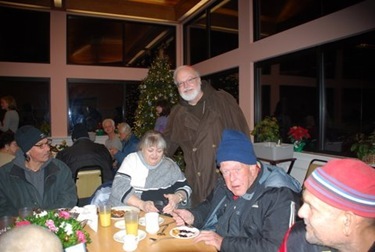 Most recently he was leading our Catholics Come Home program but he had served in the archdiocesan evangelization office previously, working with our charismatic Catholic community. He also served as Director of Evangelization at St. Patrick Parish in Natick and at the Marian Community Spiritual Life Center in Medway. We offer our prayers and condolences to Barbara and her children, and all of David’s family and friends. He will be fondly remembered and sorely missed. 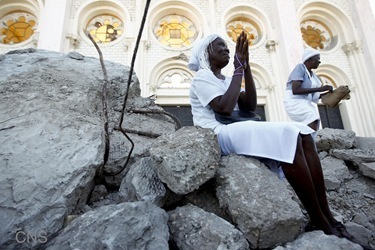 Also this week we marked the first anniversary of the devastating earthquake in Haiti that struck January 12, 2010. In order to mark the first anniversary of the terrible earthquake which struck your country, I join you all, dear Haitians, to assure you of my prayers, particularly for the dead. I also wish to pronounce a word of hope in the current particularly difficult circumstances. The time has come to rebuild, not only material structures but, and above all, civil, social and religious coexistence. 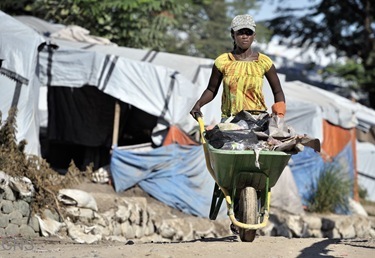 I hope that the Haitian people will become the main actors in their own present and future, also with the support of international aid which has already demonstrated great generosity with economic support and volunteers coming from all parts of the world. I am present among you through Cardinal Robert Sarah, president of the Pontifical Council ‘Cor Unum’. With his presence and his voice, he brings you my encouragement and affection. I entrust you to the intercession of Our Lady of Perpetual Help, patroness of Haiti who, I am sure, in heaven, is not indifferent to your prayers. May God bless all Haitians! That day the Holy Father also named the new Archbishop and auxiliary bishop of Port-au-Prince. Archbishop Guire Poulard was named archbishop. 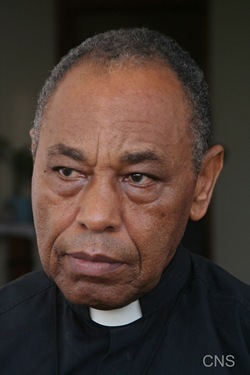 Previously, he served as bishop of Les Cayes. He succeeds Archbishop Joseph Serge Miot, who tragically died in the earthquake. He named Msgr. Glandas Marie Erick Toussaint as auxiliary bishop. Bishop Toussaint was formerly the head of Caritas Port-au-Prince and has been the director of Catholic Charities there since 2008. 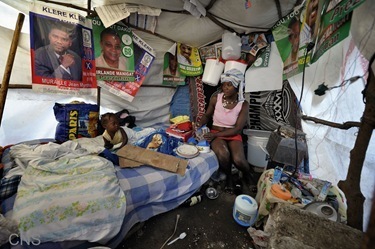 As you know, I have often mentioned the many positive things being done, particularly by the Church, to help the Haitian people and rebuild the country. Yet, despite all that has been accomplished, so much more work remains. 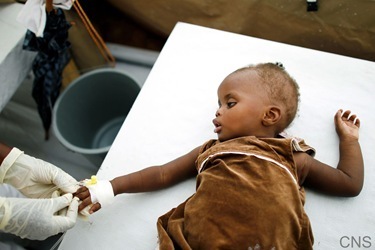 Please remember that the Haitian people still need your help and your prayers. 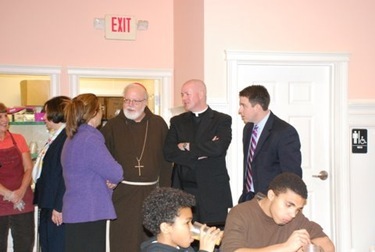 Last week, when I visited Lawrence Catholic Academy, I had the chance to visit Cor Unum, which serves meals to the needy. They are doing extraordinary service for the community at Cor Unum. 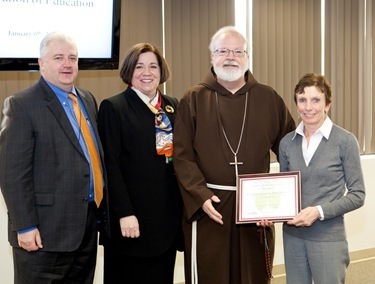 It has generated all kinds of community support and volunteers under the leadership of Father Paul O’Brien. About 200,000 meals are served annually there, which is quite an impressive number. 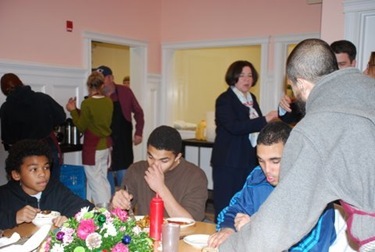 The meals are served in a very dignified fashion, which helps people to feel they are valued, appreciated and respected. 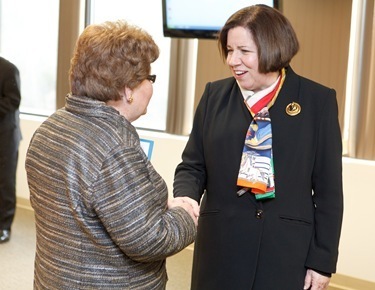 I was very glad once again to visit Cor Unum and see that the wonderful work there continues. 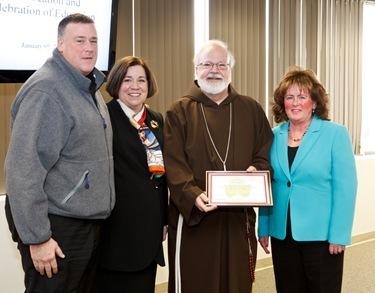 Last Thursday, we hosted a Celebration of Catholic Education that brought together almost 200 pastors and principals from our Catholic schools around the archdiocese. The event was organized by our Schools Office. 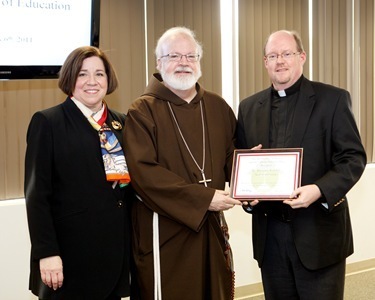 The keynote address was given by Father J. Bryan Hehir, who is our Secretary for Health and Social Services. 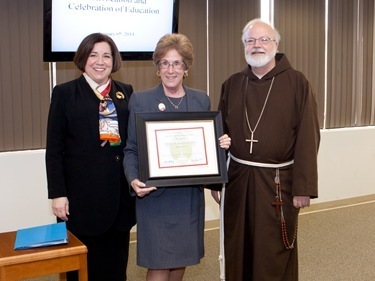 Also during the meeting a number of schools were recognized who were celebrating significant anniversaries. 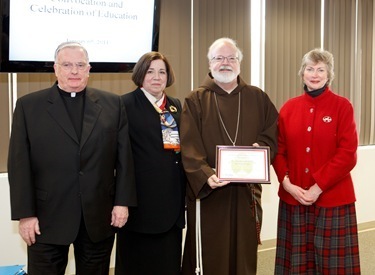 St. Brendan School in Dorchester, St. Michael’s in North Andover and St. Therese in West Roxbury were all recognized for their 60th anniversaries. 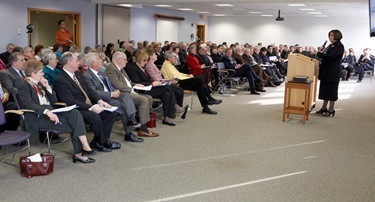 It was a very well-attended and hopeful meeting. 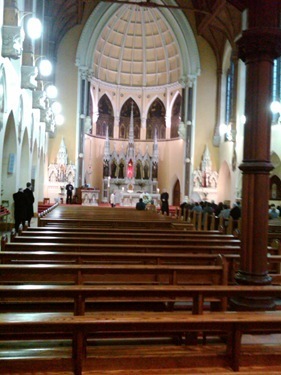 That afternoon, I went to Regina Cleri for Mass and dinner. 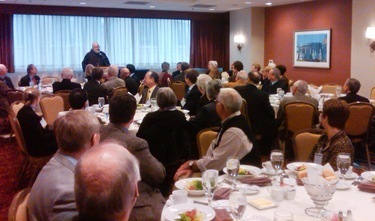 It’s always a great joy to be with the priests of Regina Cleri. There is a great spirit there and the staff and Sister Disciples of the Divine Master contribute so much to that spirit. This sisters do so much for our priests, and for many priests around the world. 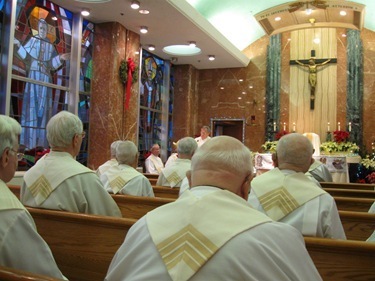 They support bishops and priests by their service to the liturgy and their daily adoration of the Blessed Sacrament. Here in the archdiocese, the sisters live above their Liturgical Apostolate store on West Street; they staff and support the liturgy at Bethany Chapel at the Pastoral Center in Braintree and assist us at the cathedral for major ceremonies. One of the sisters will begin working in my offices at the Pastoral Center and the Cathedral soon. 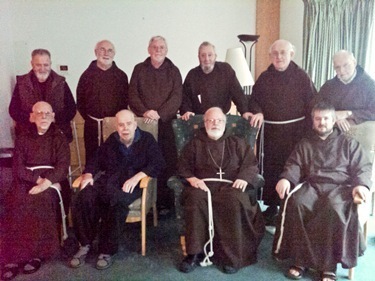 Unfortunately I was not able to attend, but they hosted an annual gathering for priests at their West Street convent on Sunday. 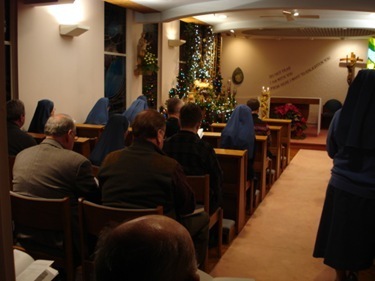 The priests and sisters celebrated Evening Prayer together, and then had dinner and a sing along. 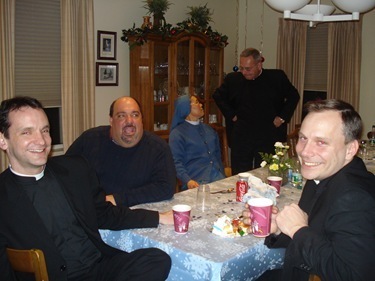 Father Paul Rouse tickled the ivories; Father Joe Fagan from Regina Cleri; John Ronaghan from St. Ann, Quincy, Father Kevin O’Leary rector of our cathedral, and Father Joe Baggetta from St. James in Chinatown were the core of the chorus! 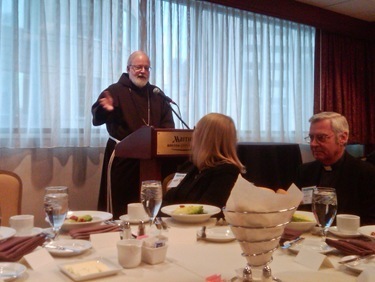 Saturday, I offered a prayer and gave a reflection at a luncheon for the American Catholic Historical Association, a group of scholars, students and archivists that study Catholic history. 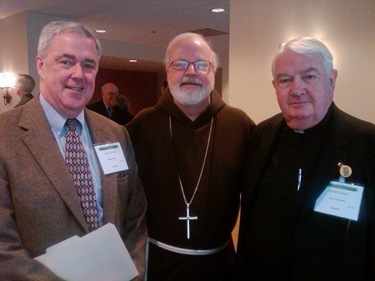 They had their annual meeting in Boston this past weekend. There were a number of interesting talks during the day and they honored a number of people for their contributions to Church history in the United States. Following the luncheon, I departed to Ireland for the second trip of my Apostolic Visitation. 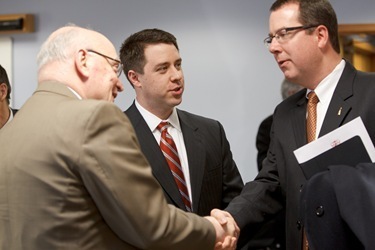 We had an opportunity to meet with about 60 people during our visit. I was supposed to fly back Wednesday but the flight was cancelled due to the blizzard here. 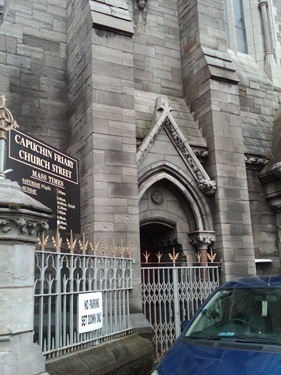 So, on the last day of my trip I went to visit the Capuchins on Church Street who have a ministry to the homeless and to the poor. They serve about 1,000 meals per day and have a clinic of services there for the homeless and indigent. While I was there, they invited me to a viewing of the film “Of Gods and Men,” which was a very moving experience for me. 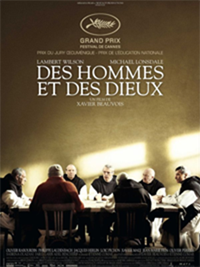 It’s the story of a group of Trappist Monks in Algiers who were murdered a few years ago. It shows the courage and the faith of those men who wanted to be present to God’s people in those violent circumstances, and it cost them their lives. I wasn’t very happy about the cancelled flight, but without it I wouldn’t have had a chance to see this excellent film. It just goes to show that God has a plan in everything, even blizzards!